Home /Blog /What factors affect a wire or cable's flexibility? What factors affect a wire or cable's flexibility? The conductor stranding and the type of insulation or jacket directly effects the flexibility. Finer strands make the wire more flexible. 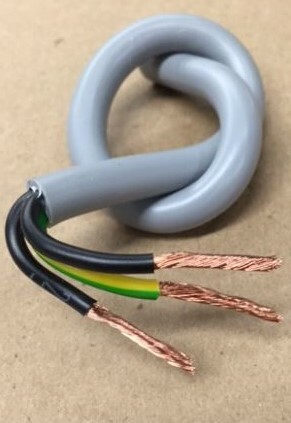 For instance, a 2 AWG 19 strand wire is somewhat flexible, a 133 strand is more flexible and a 665 strand conductor much more flexible. As for the insulation and or jacket, there are different 'softness' levels. A silicone insulation is the most flexible, whereas a polyethylene jacket is stiffer. Both the conductor stranding and the type of insulation/ jacket contribute to the flexibility of the wire or cable.